The Marton Hotel & Country Club dates back to the early 1900's; it was formerly a Victorian House standing impressively in its own grounds. It later became The Captain Cook Private Members Club. 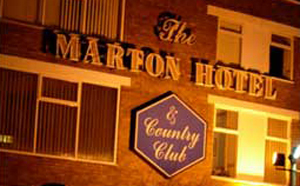 The Marton Hotel and Country Club stands most prominently on the A172 Stokesley Road.